Now, given the disaster that was the Smoked Haddock Fluffy Omelette you’d think I’d not attempt another souffle style omelette and that’s where you’d be wrong. I really do not learn from my mistakes. 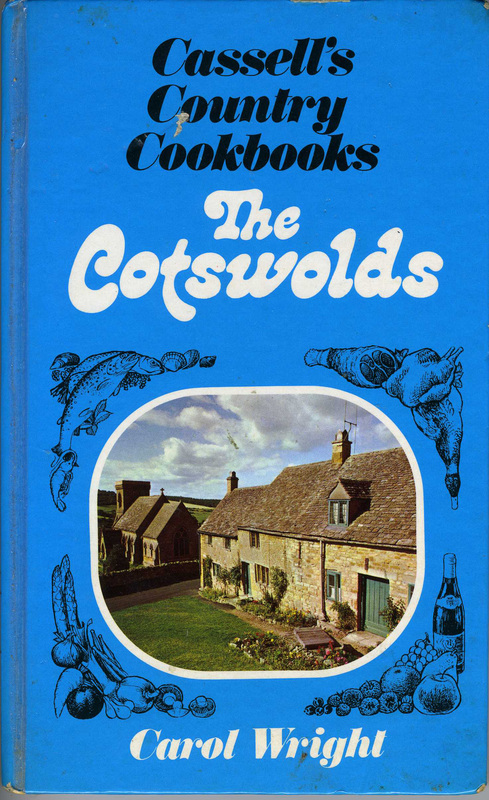 This one is from the rather charming 1975 Cassell’s Country Cookbooks – The Cotswolds. Having grown up near the Cotswolds I have absolutely no idea what the cuisine is like there, so snapped this book up and have learned all sorts of interesting things which perhaps I should have already known – each chapter is loosely themed and has a bit of an amble around local history and folklore before tying this in with regional recipes. It’s really nicely done. I’d been reading it on the train home from work, and figured I may as well cook from it, so found something simple and bought the ingredients. I did actually note the beating egg whites thing, but also noted that it doesn’t call for a grill so I reckoned on things working out. I really cannot emphasise enough how little I learn from my mistakes. What was I thinking? Very little, evidently. 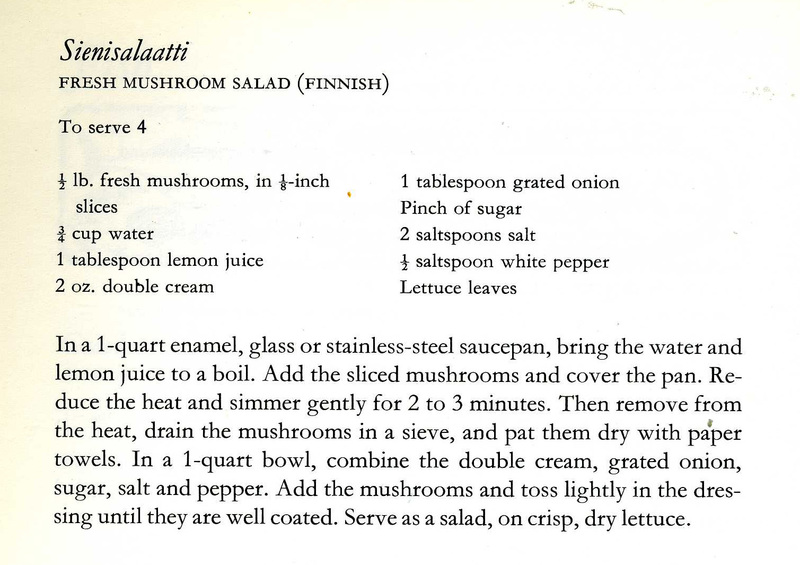 This is a Marguerite Patten recipe card. I chose it for the Danish aspect of the Eurovision party and was attracted to how entirely disgusting it looked. 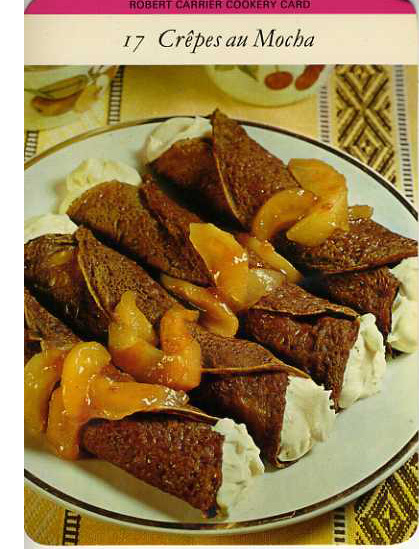 It turned out to be the most labour intensive of all the dishes made that night, and early arrivals to the party were treated to the sight of me swearing at an assortment of fruit, muttering ‘I hate it already, this is the worse thing ever’. I have had a craving for these for a long time. Really, is there anything about them which doesn’t sound brilliant? I roasted half squash a couple of days ago, having used the other half in a stew and, as these were so good, decided to attempt another, similar recipe from the same book, Potluck Cookery by Beverley Pepper (Faber and Faber, 1955).